During the winter months, Landscape photography can be a bit lackluster at times, so doing a little shooting inside helps to keep things interesting. 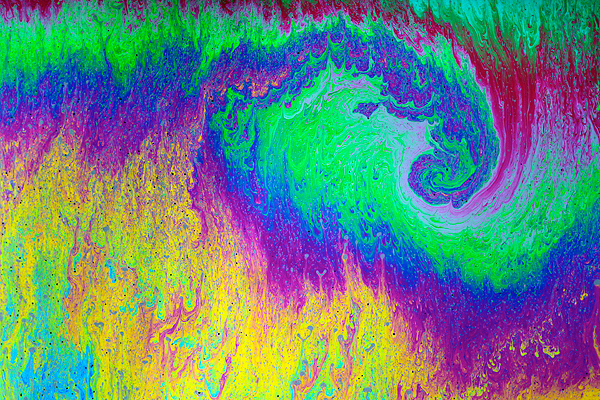 Todays image features nothing more than liquid dish soap and its intense colors. To do this shot, I filled a tray with soapy liquid, and then used an old tennis racket frame I had, to dip into the liquid. When the racket is carefully lifted, the soap stretches across the frame and starts this interesting swirling motion. Colors and patterns vary greatly,and do not usually last long till it pops. I basically pre focus on a spot and then put the racket in position, and quickly fine tune things. To really bring the color to life, I used a technique called cross polarization,which uses a sheet of polarizing material on the light source and then a polarizer is also placed on the lens. My title references the surfers paradise in Hawaii called the Banzai pipeline because I thought the soap looks like a huge crashing wave. Nothing is really invincible, but this machine found in an old mill seems to be very well-built and has the name invincible on its front. A sticker on the beam says invincible cleaners, but I have no clue what it did in the mill operation. Evening light was pouring in the windows while I was lighting the gears and barrel, so we have a cold verses warm effect.This was shot in the same place as yesterdays post, and thanks to no heat inside, temperatures were near freezing, which was actually colder than it was outside. Perhaps that comes from the stream that runs under a portion of the building. 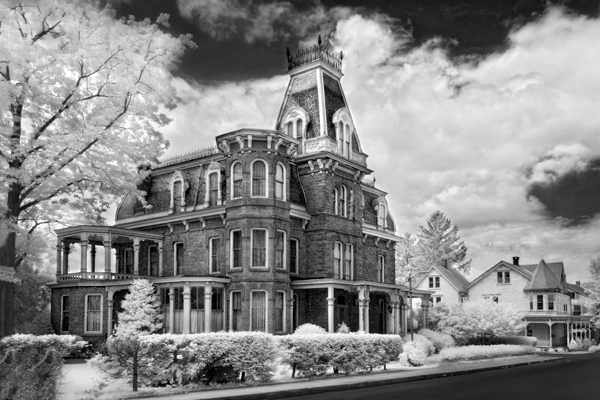 Just wanted to let anyone that might be following my blog to know that I do not just do light painting, so I felt I would share an image of what I consider to be a beautiful old Victorian home . It was shot with a Nikon camera that I had specifically modified to capture only the infrared spectrum. I used to use an expensive filter to do it, but that got to be a real nuisance because the filter was so dark, you had to remove it to focus on every new shot. The modified camera can almost be handheld,but I still insist on the tripod. 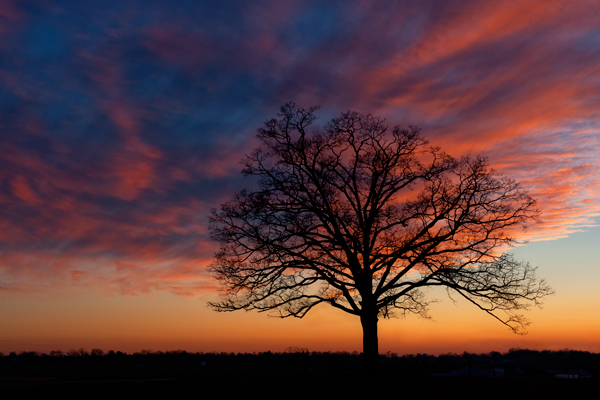 I mention handheld because with the filter, you had daylight exposures in the 4 second range. Once again, thanks to the generosity of many people I meet, I am lucky enough to be allowed to photograph items that are a part of their lives, and at the same time, express my creative side through my photography. Sometimes these people own things that are so cool, I just have to ask if I can photograph them. 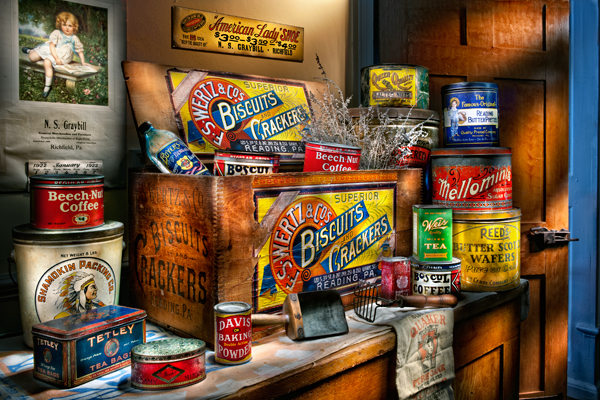 The antique biscuit box and old tins shown here are one such example. Owners Margi and Dan have quite a selection of quality antiques they sell, and they were more than happy to let me capture some that have a personal connection. The grained wood box supporting everything is a family heirloom from the 1800s, many of the tins are early 1900s and were found in old general stores. Margi’s great great uncle was Newton Graybill who operated an old general store until the mid 1900s in Richfield,Pa, and in the late 1980s, a huge public sale was held featuring countless new merchandise items from the 1900s. Margi was able to buy several items from that sale. The old calendar reads 1922, and the american lady shoe sign is early 1900. finishing off the image is a door that is original to the house from around 1790. I light painted the whole scene with deer spotlights that have snoots and diffusion that I added to control the power they have. 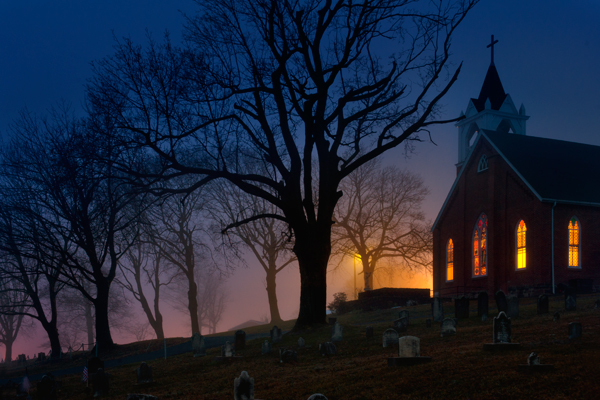 I use many types of flashlights and flash to do this,but I favor my spotlights the most. small items need more subtle flashlights, so its good to have a variety. 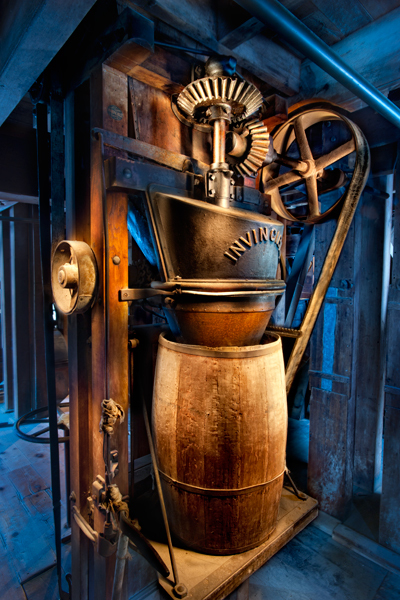 This photograph is one in a series I am doing at an old mill that is literally frozen in time. I picked the title because the man who ran this mill had very conservative beliefs, and knew the value of working hard and saving money. He was so diligent with his finances that he established a foundation that still oversees this mill for tourists to visit to this very day. What you are looking at in this photograph is the mill office/post office that served residents in the small surrounding community for decades. 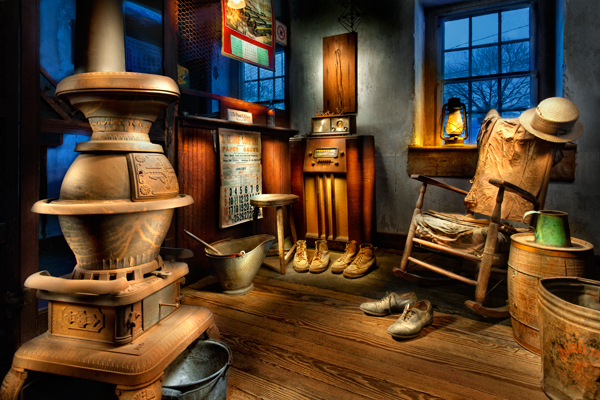 I placed a pair of shoes at the chair to allow the viewer to imagine the man who once sat there, wonder at the tales he could tell, and appreciate how simply he lived, and most likely more fulfilled than the majority of people today. 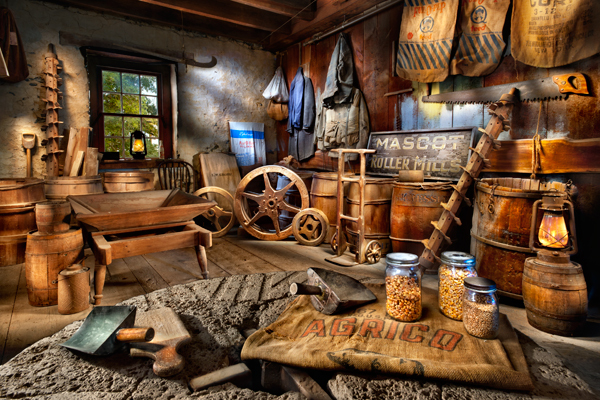 Picture yourself sitting down after a hard day in the mill, snow blowing outside and a warm fire in the stove, as you turn on the old radio, you sip some tea, and rock yourself to sleep by lantern light. A little imagination can take you to great places.